Thanks for agreeing to take part Fiona. First of all, would you tell me a little about yourself? Hmm…where to start? Well, I’ve always been a bit of a rebel and had difficulty conforming to society’s norms. I dropped out of school aged fifteen (despite being the daughter of a head teacher!) and flitted from job to job, place to place. After a failed marriage I became a single parent and knew I had to get my act together. I went to college then on to university and became a primary school teacher. Half way through the degree I happened upon the under 16 Estonian football team and became friendly with one of the players. This led to me falling in love with a country, Estonia, and as soon as I graduated I packed up my daughter, dogs and cat and drove off into Eastern Europe to become an international school teacher. Over the next fifteen years we lived in Estonia, Lithuania, Ukraine and Thailand. We finally returned to the UK in 2010 and six months later I was diagnosed with a particularly nasty form of cancer. The aftermath of the treatment was pretty horrendous and I could no longer work. I came ‘home’ to East Lothian to start another chapter of my life – this one! I’d been toying with the idea for a while. My international escapades might make an interesting read. But teaching is such a full on profession I never managed to find the time. When I found myself unable to work I grabbed the chance to study again through the Open University. I studied creative writing, with the intention of writing my biography but discovered I had a bent for writing thrilleresque type stories. This led to the writing of my first novel. I decided to become an indie author quite early on. Recent events have taught me life can be short and I was in a hurry. I didn’t have the time or the inclination to deal with agents and such like. The book took me about eighteen months to write and it would never have got that far if it hadn’t been for the encouragement and support of a very fine group of friends. Once I’d decided to take the indie route I published on Kindle and Createspace. My first attempt was nastily naive but I’m now very happy with the end product. In a nutshell, what is your latest book about? It’s a slightly futuristic story set in 2020’s Britain. The military is in control. Tight control. Media is censored, movement restricted. There are re-education camps for trouble makers, repatriation camps for non-nationals. Jake, Brian and Suze, three idealistic young journalists, are used to hiding as they try to keep their online news channel open. They publish the truth about the repatriations, the corruption and the deceit. New Dawn, the feared security force, is closing in yet again. The trio run, yet again. This time, however, they are pursued with a relentlessness, a brutality which seems far too extreme for their ‘crimes.’ A trail of death is left in their wake as they try to escape New Dawn and find out what is really behind this hunt. They are drawn into a web of human trafficking, child abuse and murder. Only it’s closer than they think. Much closer. 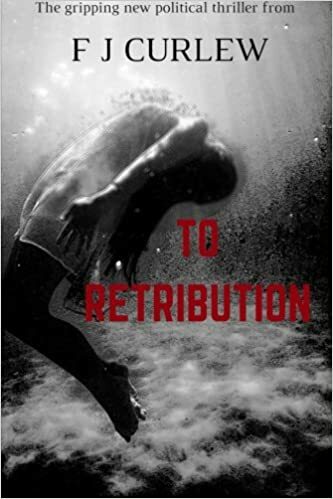 I particularly enjoy finding the title of a book that I’m reading in the text somewhere – that ‘ah’ moment, and I wanted to do the same.’To retribution’ is a quote from my novel. It’s a toast two characters make and it’s that ‘no turning back’ point. How do you plan to celebrate/did you celebrate publication day? Yes. I’m working on my next novel. It took me a while to get the characters from, ‘To Retribution’ out of my head. It was almost like being unfaithful! 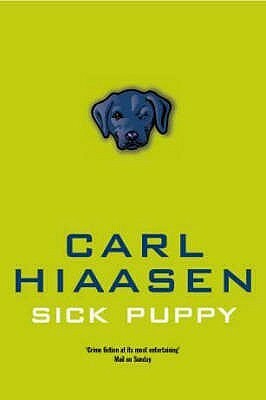 I’m now engrossed again, which is great. I love the feeling of being totally caught up in what I’m writing. I always have two books on the go. One for pure enjoyment, the other to help with my craft. Right now (March 2016) it’s ‘The Other Hand’ by Chris Cleave and ‘A Delicate Truth’ by John le Carre. Tell me about your reading habits: book or kindle, bed or bath, morning or evening? I like paper – the whole feel of a book, turning the page, stroking it if I’ve really enjoyed it. I have to read before I go to sleep – a couple of chapters in bed. I also always read something inspirational/educational before I start to write in the afternoon. If the mood takes me I’ll snuggle on the settee with a book in the evening as well. And finally, if you could be a character in any book you have read, who would it be and why? Thank you so much for inviting me to be a contributor to your wonderful blog! You’re very welcome, glad to have you!